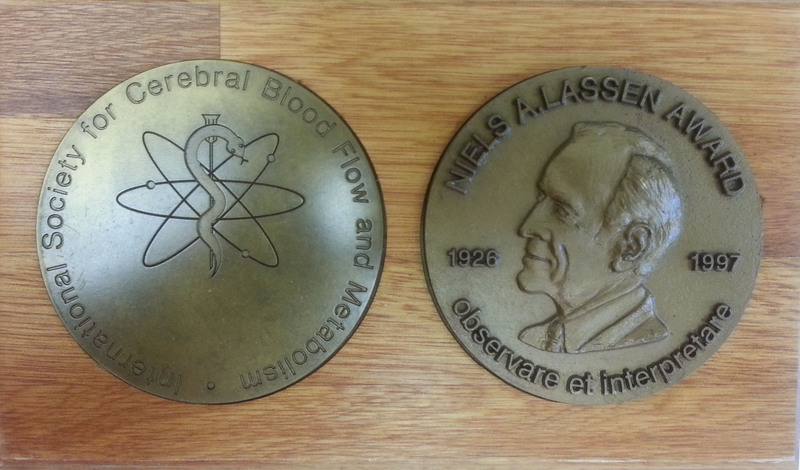 The Lassen Award is presented by the International Society for Cerebral Blood Flow and Metabolism to recognize an outstanding scientific contribution made by a young scientist. The recipient is selected by the Program Committee based on an abstract submitted for presentation at the biennial meeting of the Society. The first ISCBFM Lifetime Achievement Award were awarded to N. Lassen and D. Ingvar at the Brain 97 meeting. The award has been given every meeting since then to recognize exceptional contributions to the Society. Nominations can be received from any member of the Society and reviewed by the Executive Committee who will act as the Nominating Committee. Their recommendation will be discussed and voted on by the Directors prior to the next BRAIN/BRAINPET meeting. Nominations should include a list of important publications, positions held and contributions to the Society.